If your Greek, when you were younger you might have noticed that your friends were dipping their Easter eggs in a rainbow of colors, while you were stuck with staining your eggs blood-red – because that’s how it’s done in Greece! Actually, there are some intriguing stories behind the tradition of staining Easter eggs red. 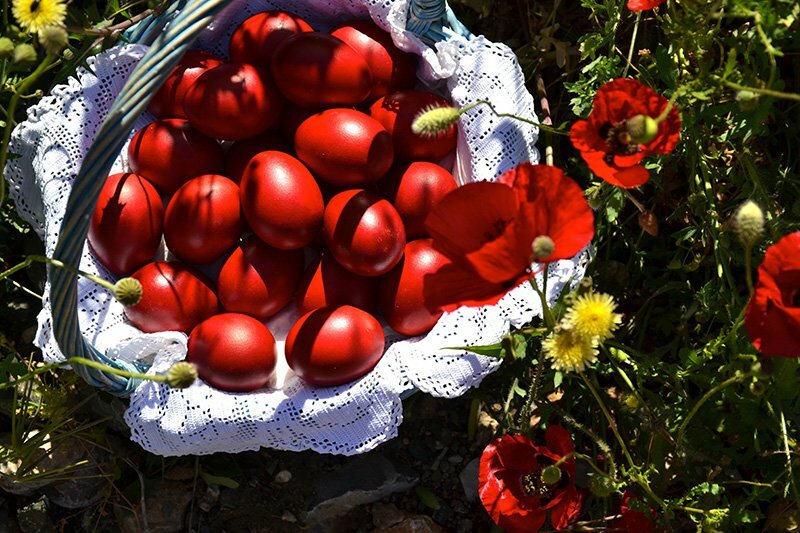 Let’s take a look at why Greeks practice this tradition and how nowadays, thanks to chef Peter Minakis, how you can take a more organic approach at achieving the famous blood-red eggs for your own Easter celebration! The Story of The Greek Red Easter Egg For Christian believers the egg itself is symbolic of the empty tomb that Jesus left behind as he rose from the ground after his crucifixion. The red dye which the eggs are dipped in is meant to represent the blood of Jesus who sacrificed himself on the cross for all of mankind, while the color of red itself also plays an important role as it is considered the color of life and victory. Eggs have been stained this blood-red color in remembrance of Jesus dating back to ancient Mesopotamia. 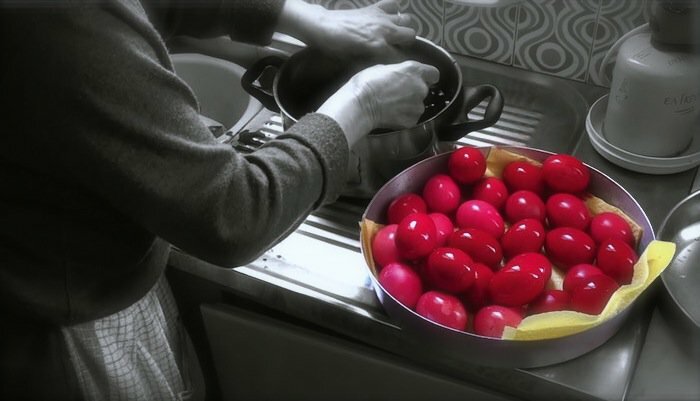 Traditionally the Greek Orthodox Christians dye their Easter eggs red on Holy Thursday in commemoration of the Last Supper, known as Jesus’ last meal before he was crucified. 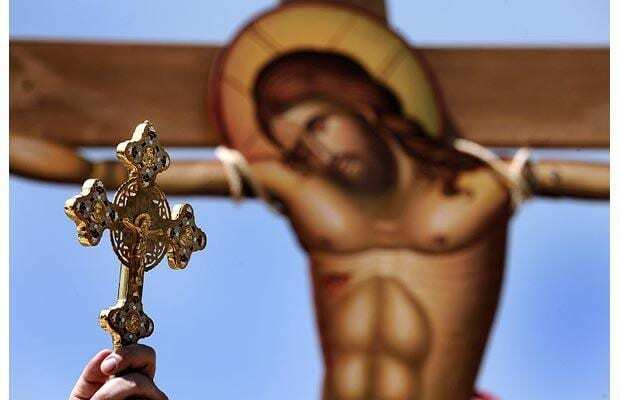 Why Do Greek Orthodox Christians Practice this Tradition? Why the Greek Orthodox Church adopted such a tradition is forever disputed, but one of the most popularly accepted beliefs is that when Mary Magdalene first saw the empty tomb of Jesus she went to the Roman Emperor and told him of the miracle that had occurred. The story goes that the emperor did not believe Mary Magdalene and told her that only if the eggs in the basket next to him turned blood-red instantly would he believe what she had told him. The eggs turned red and the rest is history. Of course, there are other variations of the story, such as one which tells of an unknown women saying that she would believe the story of Jesus’ resurrection only if the eggs she was holding in her hands turned blood-red – which they did. And her doubts were no longer.